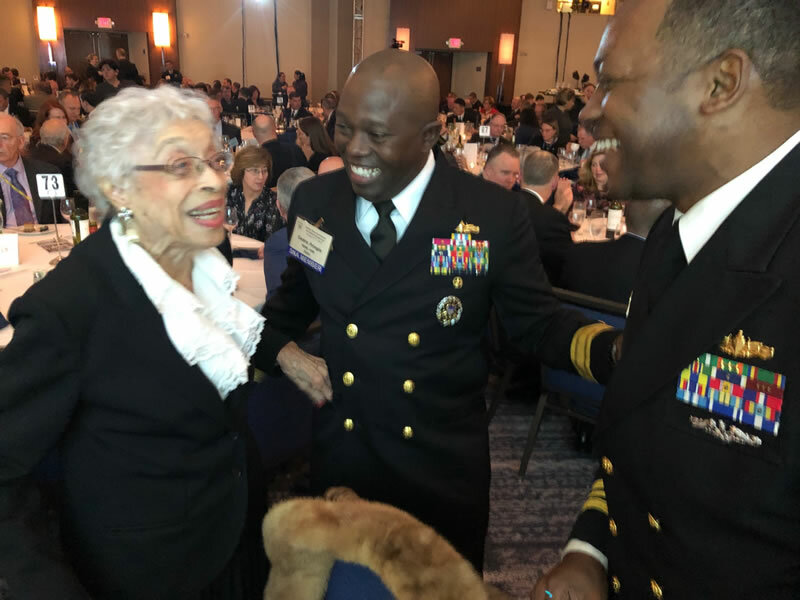 “On Thursday, January 17th, 2019 Vice Admiral Samuel Gravely was inducted into the Surface Navy Association (SNA) Hall of Fame. 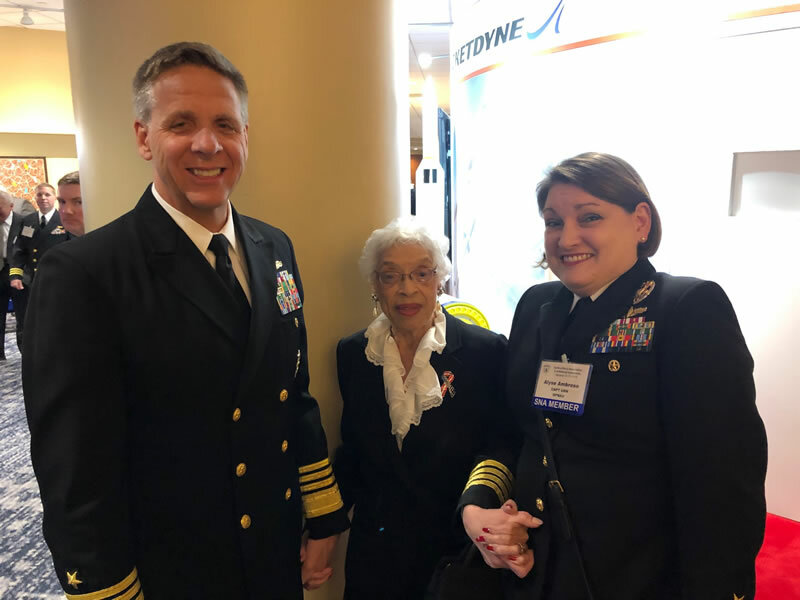 CAPT Alysa Ambrose, a former USS GRAVELY Commanding Officer, was primarily responsible for VADM Gravely being recognized. 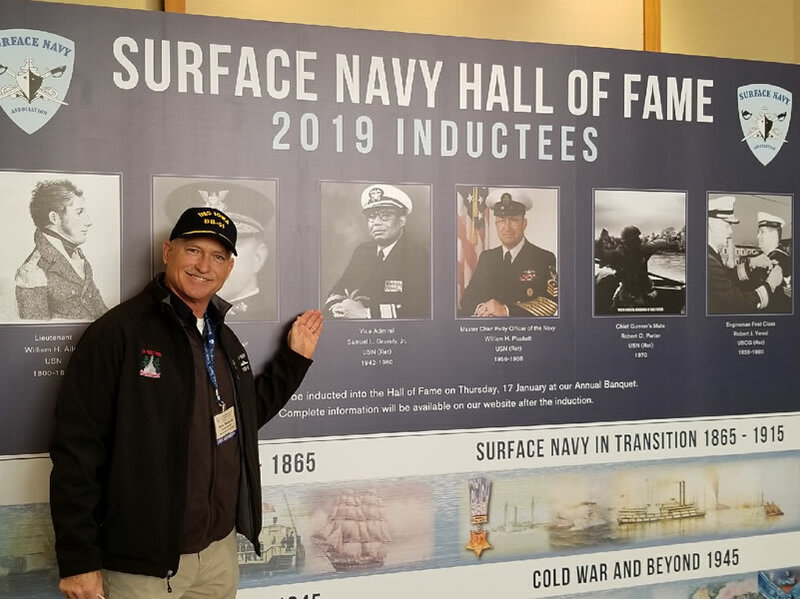 The event was attended by over a thousand people of all ranks and many from industry including Admiral Phil Davidson, Commander Indo-Pacific Command. 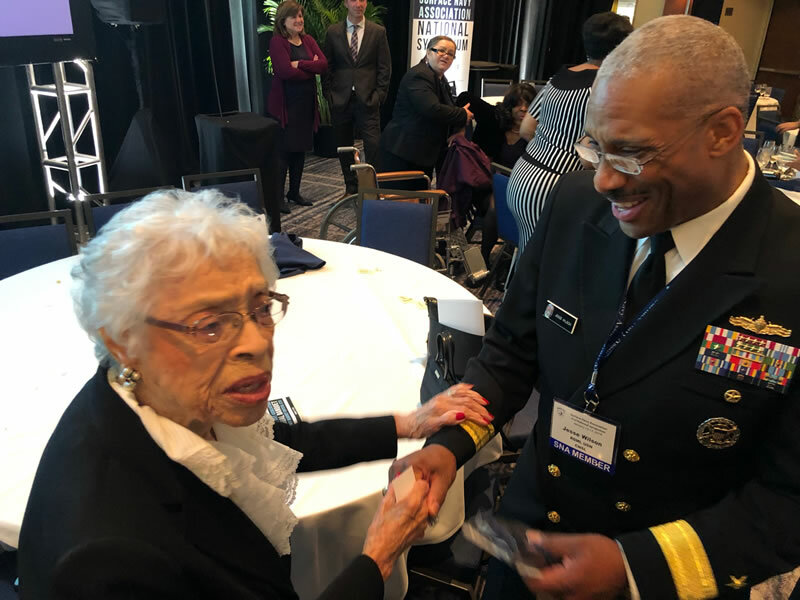 Mrs. Gravely attended the event and was in great spirits. 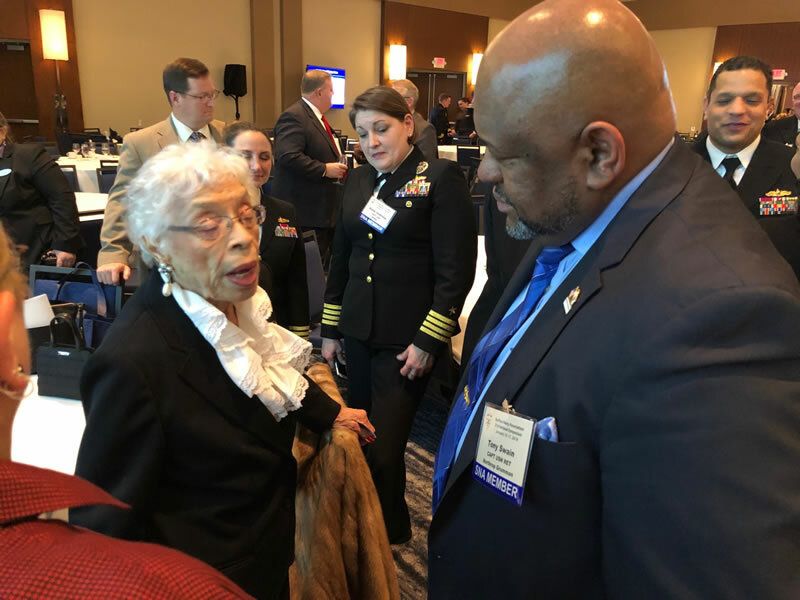 Mrs. Gravely was surrounded by many family members, the Principals of Gravely Elementary School located in Haymarket VA, and many, many admirers. As the event closed, there was a very long line of people who came by the table to greet and chat with Mrs Gravely.